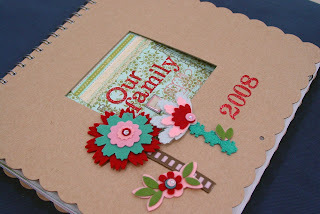 Scrapbooking and Card-making Supplies: Calendar class! For a limited time only, our new in-house designer Emily Zhang will be conducting lessons on creating your very own personalised calendar for 2008! Decide for yourself the theme of your calendar eg. family, friends, workmates, etc..Two sessions will be required to complete this project. Hi..I love going 2ur shop!! Even just by looking at 'em. Esp during this sale period..N we even get lucky dip for an extra greater discounts! It made our shopping a lot more convenient! I hope u could extend the 'lucky dip' til end of dec.Heheh :) it wud make us happy. Cheers!